Another great group of environmental educators will be joing the Center for Alaskan Coastal Studies for the spring 2019 Alaskan Coastal Ecology school program season. Eli is from Bend, Oregon. Growing up backpacking, fishing, and rafting around the Pacific Northwest instilled a passion for the outdoors in Eli at a young age. 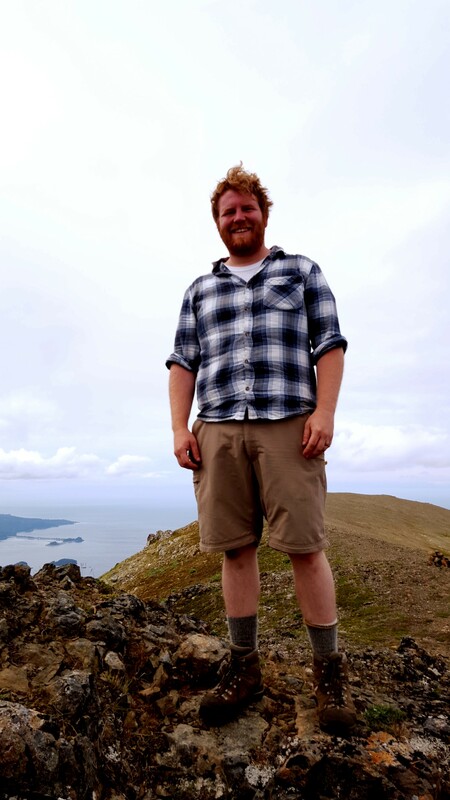 After graduating from Dartmouth College in 2017 with a Bachelors degrees in Environmental Science and Public Policy, Eli worked for conservation nonprofits in Oregon and taught environmental education on the San Juan Islands in Washington. During the summer Eli worked as a fly fishing guide on the Middle Fork of the Salmon River in Idaho. Kirby has been fascinated by the natural world since he was a little boy. His parents always inspired him to explore the outdoors and spending his summers in Stone Harbor, NJ got him interested in the ocean. As a boy, he loved fishing, catching sandcrabs, finding seashells, and looking at all the neat little creatures in the tidepools. He was always excited to catch a new fish or crab for his little saltwater fish tank at his grandmother's beach house. In high school, Kirby realized that he wanted to turn this passion for the ocean into a career. He attended Stockton University and received his Bachelors Degree in Marine Biology in 2013. Kirby first took a position as an environmental educator at the Wetlands Institute in southern NJ, and hasn't looked back since. He recalls that seeing a child's face light up as they hold a horsehoe crab or witness a bottlenosed dolphin surfing the waves behind the boat is the best feeling in the world! He has worked as a marine biologist and crew member on a whale and dolphin watching vessel in NJ for the last 10 years. 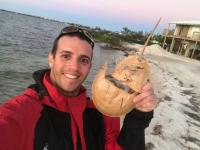 Kirby has also taught marine science at Seacamp in the lower Florida Keys and environmental education at Echo Hill Outdoor School on the eastern shores of the Chesapeake Bay. Kirby is super excited to start his next adventure, teaching and inspiring young minds at the Center for Alaskan Coastal Studies. In his free time Kirby loves hiking, geocaching, fishing, nature photography, and pretty much anything that gets him outside. Amanda is a lover of the outdoors, from the mountains, forests, deserts, and coast. She grew up in Southern California and received my Bachelor's of Science in Biology from the University of California Riverside where she was involved with studying how microorganisms affect native and invasive species. 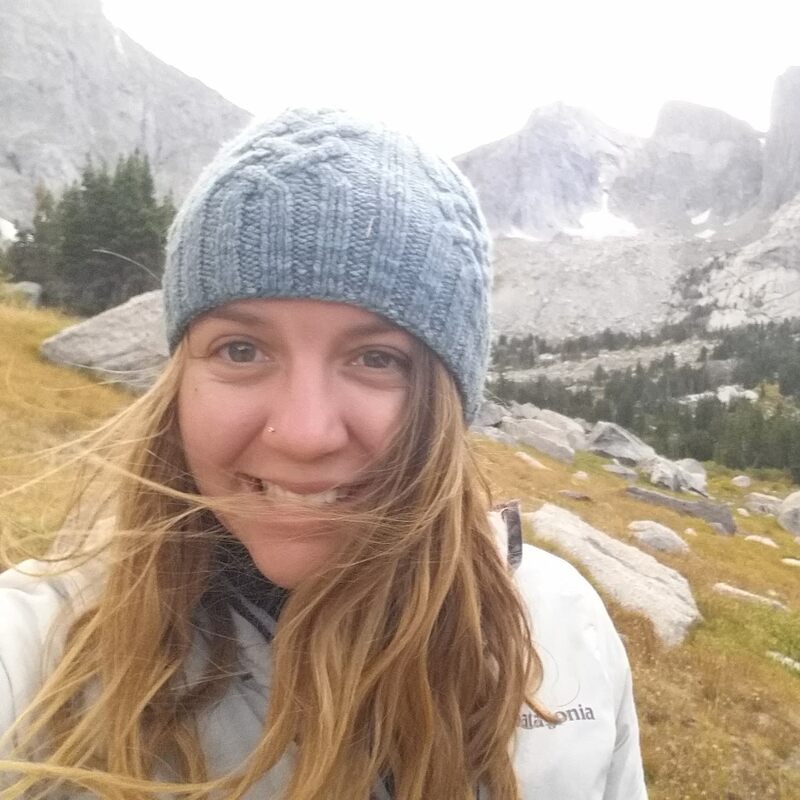 Amanda has worked as a field botanist in the deserts of Utah, and as an environmental educator throughout the United States - in Alabama, New Mexico, California, and Wyoming. She recently received her TEFL Certification, and hopes to teach English in Latin America later this year. Amanda loves all outdoor activities especially hiking, trail running, biking, and skiing, and also enjoy yoga, reading, cooking, hanging out with friends, and listening to music. 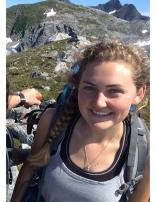 Amanda is really excited to explore the forest and coast with students this spring in Alaska! Laura is originally from San Diego where tide pool exploration and weekly dolphin gazing set her on an environmental path. Laura received her bachelors in environmental studies and anthropology from UC Santa Cruz. Laura was part of a field study researching northern spotted owls in northern California, is returned Peace Corps, Zambia volunteer, taught environmental education in the Outer Banks, and led nutrition based cooking classes in New York City. A healthy love and respect for traveling, exploring, and feeling her way through new experiences has given Laura a life long dedication to the natural world and our part in it. Misha is originally from the suburbs of Washington D.C., where she grew up playing in the wetlands of the Potomac River and Chesapeake Bay, areas that are heavily impacted by the nearby cities. Misha was a “save the bay” advocate and nature nerd from the get-go, and hopes to inspire the next generation of nature’s students through her work as an environmental educator. Misha made her way from Washington D.C. to Washington state for college where she earned a degree in mathematics while spending her summers in Southeast AK as an educator and salmon research technician. After graduating, she spent several months as a volunteer English teacher in northern Peru, where she explored her role as an educator within a rapidly changing economic and ecological landscape. 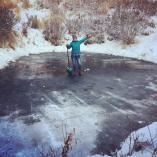 When not bushwhacking through the woods with curious groups of students, Misha can be found trail running, swimming, or just jumping into cold water. She also finds delight in discovering new ways to bring art into the fields of science and nature. Born in Georgia and raised in Alabama, Shannon has always called the south home. A childhood filled with playing outside instilled a lifelong curiosity about the environment. She attended Samford University and, unable to decide what subject she liked best, majored in Geography with a double minor in Biology and Spanish. Soon after college, she moved out to the McDowell Environmental Center, where she was introduced to the wonderful world of environmental education. 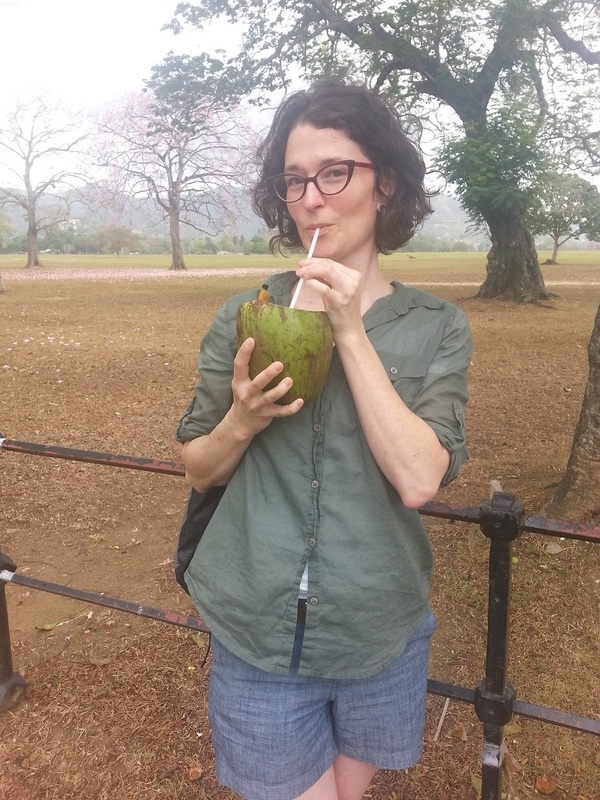 In addition to teaching and eventually coordinating at both McDowell and the Cahaba Environmental Center in Alabama, she has also worked a bit further south as a guest naturalist in Córdoba, Argentina, where she had the opportunity to work on her Spanish, eat new foods, and drink lots of mate. In her spare time she can be found reading, playing the violin, or sprawled out on the ground trying to get the perfect picture of a bug. She is excited for this new adventure on the Alaskan coast and ready to learn alongside everyone she meets! Seth is originally from Minnesota, but now lives in Homer. He spent his first spring as an environmental educator for the Center for Alasan Coastal Studies, and now works as the Education Program Coordinator and Wynn Nature Center Coordinator. 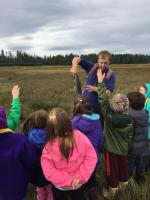 He has a Masters of Education, and his background is connecting youth with the natural world around them. He is an avid birder, and loves poking around tide pools seeing what he can find! 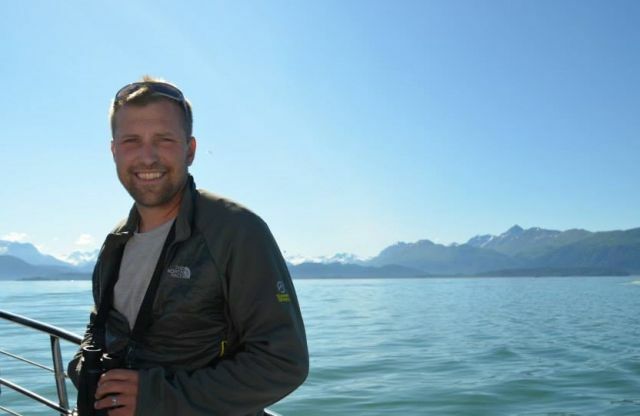 He can’t wait to help you see the wonders of the natural world in and around Kachemak Bay. Another great group of environmental educators will be joing the Center for Alaskan Coastal Studies for the spring 2017 Alaskan Coastal Ecology school program season. Mallory Primm will be joining CACS for her first spring season! Mallory holds a M.Ed. the University of Washington, specializing in Play and Nature-Based Education, a BA from UC Berkeley and was a Fulbright Scholar to Swaziland. Her true passion in education in the great outdoors. She has worked with children outdoors in WA, Africa, CA and AK from forests to mountains, on beaches and farms, at a history museum and even a waste-water treatment plant. Mallory is currently working on building her tiny home and enhancing her bird watching skills. When not facilitating experiential connections with nature, Mallory can been found practicing yoga or playing the ukulele. Caroline graduated from Williams College with a degree in geoscience in 2016. 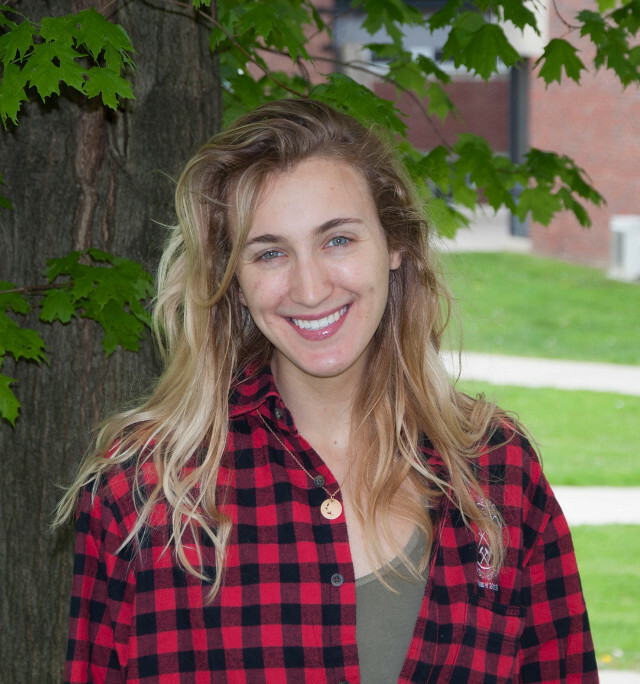 Although she grew up in the Green Mountains of Vermont, she discovered an interest in oceans during a freshmen year oceanography course and it hasn't left since. She is also an alumni of Williams-Mystic, an interdisciplinary study away semester about the world's oceans and coastlines. She takes great joy in teaching others about the natural world and is excited to be spending her spring on the Alaska Coastline. Ruthie will be joining CACS for her first spring season! Ruthie grew up in the beautiful Pacific Northwest, where she first developed her love for nature and the outdoors. She is a recent graduate from Lewis & Clark College in Portland, OR, where she studied Sociology and Anthropology. For her senior thesis work, she researched place-based and environmental education, which she is hoping to study in graduate school in the near future as well. Her background in informal education lies at the Oregon Museum of Science & Industry, where she spent over a year teaching kids how to dissect owl pellets and what would happen if you sent a marshmallow into outer space. She just finished teaching English in rural Thailand, and she is excited to apply her passion for environmental education and the outdoors to her first season with Coastal Studies. In her spare time, she enjoys spending time outside hiking, kayaking, biking, or scuba diving, as well as baking or reading a good book. Hi everyone! My name is Jaclyn Lucas and I am from Chatsworth, CA. I went to college in Ohio at Denison University and majored in Environmental Studies with a concentration in Psychology. During my junior year, I studied abroad in Zanzibar, Tanzania to focus on coastal ecology and natural resource management. It was an amazing way to travel, learn about other cultures, continue my love for environmental education, and be near the ocean again! After graduating, I moved straight to Catalina Island to work at the Catalina Island Marine Institute (CIMI). I taught there for 2 1/2 years and developed my skills as an educator teaching about oceanography, invertebrates, sharks, and more. I took students snorkeling, hiking and kayaking while teaching about island ecology and keeping kids active. After leaving Catalina Island, I spent the first bit of 2017 working for the Conejo Valley Unified School District as a naturalist for their Outdoor School. It was amazing to build my own curriculum and teach 6th grade students about the terrestrial and marine ecology surrounding them. The past two summers I have spent my time in Homer, Alaska working for the Center for Alaskan Coastal Studies and I am so excited to be back for another season! Henry Reiske is a returning naturalist with Coastal Studies. He moved to Homer 3 years ago, and worked at the Wynn Nature Center last summer. 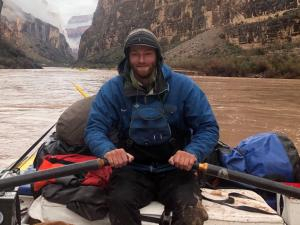 He has a degree in adventure education and environmental studies from Prescott College. He loves discovering new, interesting things in the areas around him, and has a passion for plant life. This will be his 2nd spring season with Coastal Studies, and he is very excited for all of the programs and students. Caitlin is excited to rejoin the Center for Alaskan Coastal Studies for a 4th season this spring and can't wait to see all her favorite invertebrates again. 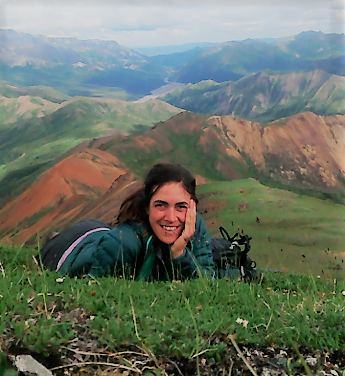 In the past year she has lead groups of varying ages in Denali, The North Cascades in Washington and Trinidad, and enjoys working as a Naturalist Guide in Denali National Park in the summer, where she gets to see shore birds on their breeding grounds. Caitlin hails from Pittsburgh, PA and while wintering there has small local adventures in state parks, catches up with friends and generally enjoys some down time before the next trip North. Seth is originally from Minnesota, but now lives in Homer. He spent last spring as an environmental educator for Coastal Studies, and now works as the Education Program Coordinator and Wynn Nature Center Coordinator. He has a Masters of Education, and his background is connecting youth with the natural world around them. He is an avid birder, and loves poking around tide pools seeing what he can find! He can’t wait to help you see the wonders of the natural world in and around Kachemak Bay. Kim is a life­long naturalist, artist and adventurer residing in Homer. She received a bachelor of science from The Evergreen State College. As an environmental educator, she leads Center for Alaskan Coastal Studies school groups during the spring, and spends summers guiding with St. Augustine’s Kayak and Tours, always with an eye towards the bizarre and fascinating wonders of nature. 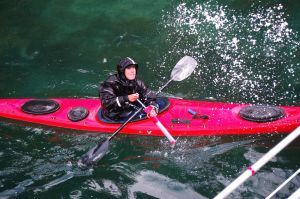 With her partner Bjorn Olson, she has traversed thousands of miles of Alaskan wilderness, including kayak touring the Prince William Sound and Kenai Fjords, rafting the Kuskokwim River, and biking the snowy Iditarod Trail to the Arctic Circle. Nature journaling, relief printmaking and writing are her preferred methods for artistically interpreting and sharing her experiences. Kim also volunteers with the non­profit organizations Ground Truth Trekking and the Homer Cycling Club. "Do you guys get bears out here?" It's a frequently asked question to which I knew the answer before I arrived. "Yes, but just black bears. No grizzlies." Binoculars went up, cameras clicked, and we had confirmation: the black shape was a black bear! The bear saw us, but he didn't seem particularly interested. He padded a few feet away and lay down for a nap. That was my first sighting of a bear from foot -- I saw a few from the car window with my mother on our Great Alaskan Road Trip last summer -- but it would not be my last. Two days later, I emerged from the Low Tide Trail. My hiking partner pointed across the tidal lagoon, and there she was, a black bear balancing on driftwood for fun! This black bear didn't seem worried about us, either. As long as we keep our distance, they keep theirs, and nobody gets surprised, we'll all be great friends. I still haven't figured out how to insert videos successfully, so click on this link to see the bear balancing along driftwood. One of the most imaginative tips I've recieved as a guide was a package of homemade bear jerky. Every Alaskan resident gets to shoot three bears a year, though of course most don't take up the offer. Our eight-year-old visitor had shot this jerky's black bear himself. And here I'd thought butchering my own rabbits made me cool. I haven't seen a bear since my first three days at the Station, but I always carry bear spray. And when my friend Laura and I go running on the trails, we holler our rambunctious greeting at every turn: HEY, BEAR!!! The whirlwind that is the spring season at Peterson Bay, China Poot, and Kasistna Bay has come to a standstill. The calm after the fun storm is a time to reflect and share the moments we will never forget. Through sleet, snow, rain, rocks, plants, and low tides we explored the unique environments of Kachemak Bay. Each site possesed a certain charm that made for great outdoor experiences. As the days have grown shorter, and the mornings crispy, the Center for Alaskan Coastal Studies has set out to tackle the trash of the beach. 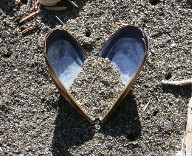 The month of September kicked off our 30th annual CoastWalk beach clean-up season around Kachemak Bay. Every September and October the Center for Alaskan Coastal Studies gather volunteers, teachers, students, organizations, and businesses to clean Kachemak Bay beaches. For the past 29 years these dedicated volunteers have picked up everything off the beach from a discarded toothbrush to half a fiberglass kayak. Over the past 29 years, volunteers have collected thousands of pieces of debris, and in the process saved many of our seabirds, marine mammals, and fish from the devastating effects of marine debris. Our Alaskan ocean, with its cold year-round temperatures and high oxygen content, is home to some of the largest creatures in the world. One enormous mollusk happens to be as intelligent as she is large, and she's all the more intriguing for her eight arms, hundreds of suction cups, and quaint hobby of collecting shiny objects: the giant Pacific octopus. These clever invertebrates average 16 feet in length and 110 pounds, but the record-holder was measured at 30 feet and 600 pounds! They also live longer than other octopuses, but don't expect much. They last around four years, with both males and females dying shortly after breeding. Naturalist Kim points out an octopus den at China Poot Bay. Octopuses live in dens that are submerged at all but the lowest tides. As a bonus, they prefer dens with two holes: both front and back doors.We were lucky to find this den at low tide. When Kim tickled the entrance with her finger, a red tentacle swooped out to investigate. When searching for octopus dens, keep your eyes out for the midden, a trash pile of helmet-crab exoskeletons and snail shells discarded by the octopus. Live octopuses are cool and all, but this blog is about a dismemberment, so let's get to the point! On June 4th, a dead giant Pacific octopus washed up on Otter Rock. The limp form of a freshly-dead octopus. When the tide went out, I descended the rocky shore to investigate. 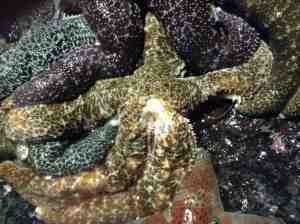 The octopus was smothered by another of our ocean's giants: sunflower stars! I knew these monstrous, soft-bodied stars to be predators of other sea stars, but I had no idea about their fondness for octopus meat. The octopus was stone-dead, but her sucker still held my finger tight was I pressed on it. This squishy sunflower star was waiting for the tide to come back in so he could move freely over his meal. My favorite shot. I just love the juxtaposition of tube feet and suction cups: the echinodermatan and molluscan solutions for the tasks of moving around and holding on. Here's a video of the tube feet in action! Three days later, the octopus had disappeared from the low intertidal zone and reappeared high-and-dry upon Otter Rock. The pair of bald eagles were spotted dragging and pecking it. The octopus's carbon was redistributed first to deep waters, then to the crown of a spruce tree, and who knows where else. Each day I asked one of my visitors to be an octopus model -- for scale and, of course, the cute factor. June 7th: "There it is, but I'm not touching it!" June 8th: "There it is! Can I touch it?" On June 8th, it smelled like bacteria were joining the food chain. The suction cups, however, were still intact. June 12th: my octopus models were unwilling to get any closer than this. I thought they were still brave, considering the stench and general goopiness. June 12th was the last day our dear dead octopus was seen. Whether she got dragged into the woods by a bear or deep under the sea by a seal, or was chewed into goo by microbes during the next few tide cycles, we'll never know. In theory, I knew that elements are recycled and dead things make up the living. But after watching the swift dismemberment of an octopus into the vibrant life of the intertidal zone I admire daily, I feel included in a secret. On June 25th, I watched one of the three bald eagle chicks flap his wings for the first time. Now, when I spy on our bald eagle chicks through my binoculars, I think of the octopus midden. In the chicks' emerging flight feathers, I see helmet crabs that became octopus that became eagle. In case you haven't heard, spring is the season for babies. Here at Peterson Bay Field Station, a pair of bald eagles is accomplishing an incredible feat: they are raising triplets! The broken crown of a seaside spruce makes an ideal platform. Even better, you won't want to miss this video of both parents and all three eaglets sharing a meal at the nest! I'm taking photos every day to mark their progress. To the eagle experts out there: any idea how old these chicks might be? On the Lost and Found Lake Loop Trail, which winds through a mile-and-a-half of Lutz spruce forest, I found the sign of an American robin's reproduction: the cracked shells of two sky-blue eggs. A proud mom or a heartbroken orphaner? I don't know if the eggs hatched or were pilfered by raven or raccoon. On my day off here in Homer, I circumnavigated Beluga Slough through questionable tides, estuarine mud, and private property. 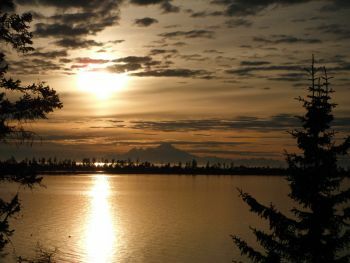 Kenai Mountains in the background. Kachemak Bay on the horizon. I ducked behind the tree line to read a chapter of Aldo Leopold's A Sand County Almanac on somebody's hand-hewn log bench. Seven northern shovelers flew in as soon as I was out of sight. Pendulous bills make for good shoveling. I've never seen such an enormous hoof print. Moose were probably watching me follow their trail. Further along, I discovered septuplet ducklets. Their species eluded me at first. Mallards have orange bills; green-winged teal have dark faces; gadwalls aren't common here. What nice eyeliner you have. I always go for down-turned wings, too. Is that a peek of blue speculum I spy? But with enough patience and photographs, I got a look at her blue speculum, and I believe she is simply a dark-billed mallard mama. On my walk home, I got a much closer view of a mother mallard with only two ducklings. She had a dark bill and a brilliant blue speculum, confirming my identification. And her duckling took an adorable bath while practicing her dabbling! I wonder how even their down is waterproof? Here's a video I took of the mallard duckling bathing and learning to dabble! I'll give you this one. A baby crane is called a colt! Here is the video of crane parents and colts. Watching them gambol through the grass makes clear the resemblance between filly and fowl. I couldn't get too close to the pair of colts this morning, but you can see their yellow fluff nudging mom or dad for food. We are so excited to have a wonderful crew of environmental educators set for the spring season! During the summer months there are always stunning wildflowers at the Wynn – lupine and chocolate lilies, yarrow and star gentians, pyrola and goldenrod, Indian paintbrush and fireweed, and many more that progress through their flowering cycles at different times as the summer continues. Flowers, of course, are the reproductive organs of a plant that will eventually produce seeds for dispersal. Amongst the wildflowers, all in their different summer stages, we’ve also started to notice an abundance of something relatively new to the forest: the reproductive organs of another type of organism. With all the recent rain, the fruiting bodies of fungi have emerged, aka mushrooms! The forest is full of their great variety of forms and colors, and as the summer moves into autumn, more and more will surface. 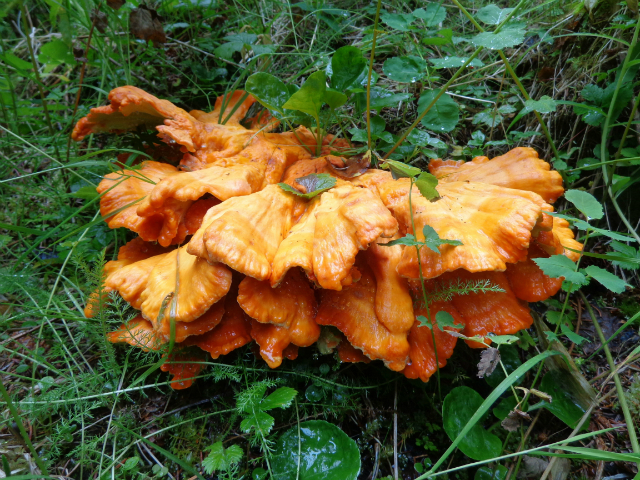 Come out to the Wynn to see our great diversity of fungus: the puffball (lycoperdon), red-capped russula, deadly amanita, latex secreting lactarius, and endless shelf fungi, like our beautiful chicken-of-the-woods. Something's Not Right With This Ptarmigan! Laura and I bounded through ferns and devil's club. We were running our daily loop of the Lost and Found Lake Trail, bear spray in hand, singing bear songs, trying to break our record of 19 minutes. Laura rounded the bend near the spruce-bark-beetle clearing and stopped dead in her tracks. I nearly collided with her back. Oh dear, I thought, what does Laura see?! Instead of backing away in fear, Laura motioned for me to hurry up and look. "Quick, before she flies away! It's a ptarmigan in the trail!" Sure enough, a brown ball of feathers was blocking our path, but she was not flying away. She was lowering one wing to the ground like an aggressive chicken and sashaying toward us. Laura and I looked at each other. "Something's not right with this ptarmigan," Laura summarized. We knew it couldn't hurt us, but an animal without fear is unnerving. Can ptarmigans get rabies? Suddenly, a train of three peeping fluff-balls tumbled across the trail, from the higher, forested side to the lower, mossy patch. Their backs were striped to blend in with shadows from spruce bows, and their feet were so small they got caught in the sphagnum. The mother's strange behavior made sense: she was being a crossing guard! A frantic peeping wove through the bushes on the high side of the trail, and the fourth straggling chick emerged to join its siblings. Mama gave us the sideways-eye of a prey species (if you don't know what I'm talking about, stand on a porch above a flock of hens, lean over the railing, and watch them turn one side of their head straight up) and allowed us to pass. We happily watched the family amble through the underbrush. They sabotaged our 19-minute goal. That night, I texted Laura's photos to my bird-verifier, Thomas, who politely pointed out that our "ptarmigan" was a spruce grouse. Makes sense, since our forest is 95% spruce, and ptarmigans live in tundra! This photo was taken with no zoom to show how close Mama got to me. When she made eye contact, I got the sense she was both intelligent and confident, entirely committed to her role of protector. Five days later, I was clearing grass and blueberry bushes with a scythe when an indignant clucking interrupted my whacking. There, in the trail, stood Mama. This time, I watched for an hour as she strutted along a sunny log and her chicks dust-bathed in the middle of the path. "This root is the perfect size for me!" Look at those furry legs! They'll become nicely feathered shanks, like Mama's. Later that afternoon, as I finished the other side of the loop trail, the family emerged again! They had taken a short-cut through the forest. What draws them to the trail, I don't know, but I think the blueberries have something to do with it. I haven't figured out how to get videos to work, but you can view the video on my YouTube channel here! The next installment in the spruce grouse saga came yesterday, when I surprised the mother by coming around a bend too quickly, and she returned the surprise by flying within inches of my face, claws outstretched. Sorry, Mama! Here's a video of the chicks jumping to reach seeds from some not-so-tall blades of grass. This time, the family was spread out on an open slope beneath the mountain hemlocks. I counted the chicks, anxious that all four might not have survived the week, but my total came to FIVE. Props, Mama. Keep up the excellent work. Three days ago, I was buying my first pair of Chacos in Seattle and stuffing polypropylene leggings into my waterproof duffel bag. Two days ago, I was flying to Anchorage and then Homer, Alaska and settling in to my bunk room on the second floor of the Center for Alaskan Coastal Studies. I met an old friend and teammate for dinner (here in Homer, what wonderful coincidence) and fell asleep at 10:30 pm in broad daylight. One day ago, I took a boat across Kachemak Bay to the Peterson Bay Field Station, a semi-remote campus of the Center for Alaskan Coastal Studies where I'll be living and guiding for the rest of the summer. We passed Gull Island on our way to Peterson Bay Field Station. Common murres were conspicuously absent in the water... and then we found them all huddled on top! Black-legged kittiwakes coated the cliffs and generated a constant pulsing wail. Tufted puffins bobbed near our boat. And this morning, I woke up to gossip of boreal chickadees, the indignant peels of black oystercatchers, and the melody of robins. A bald eagle perches in this snag every day. A group of eight Alaskan school-teachers are visiting for a three-day Teacher Academy. They'll take back what they learn to provide outdoor education for the students in their classrooms. It's a perfect first group for me because I get to learn about this ecosystem alongside curious educators who ask creative questions and find joy in the mucky details. Gull Island, a rookery for black-legged kittiwakes and a favorite lunch spot for eagles. Otter Rock: can you see the geological sea otter on her back, paws in the air? Can you identify this dead duck head? Our steep ramp from the dock to the Field Station. If you're heading to the beach, take the stairs. Our drinking water comes thrice-filtered from this steam, but it's still imbued with a rich brown color from needle tannins. Today we have a minus 3.2 tide at 7:30 am -- that's really low. We're off to Otter Rock to seek out the Fab Four Phyla and whatever else crosses our path! By the way, I should introduce myself. This is Nina Finley, the 2016 Peterson Bay Field Station Naturalist Intern. I'll be blogging a lot from both sides of the Bay, so stay tuned for updates. If you enjoy these posts, feel free to check out my personal blog, Natural Selections, for more stories and photos from Alaska and beyond. Last week, I was lucky enough to head over to the Peterson Bay Field Station with Americorp coastal ecology educator Leah Thon for a mid-winter overnight trip. Our primary purpose was to check out the much-beloved sea stars that inhabit the rocky intertidal at Otter Rock, China Poot Bay, and even the tidal lagoon right in front of the Field Station. Two summers ago, a phenomenon ca lled Sea Star Wasting Syndrome (or Disease) emerged on the west coast. Similar unusual mortality events among sea stars had happened before, but this one is bigger and more widespread. Alarmed by the severity of the outbreak in the Pacific Northwest, accounts of some suspicious lesions on sea stars at the Anchorage Museum, and a few distressed sea stars observed by naturalists on the Kachemak Bay beaches earlier in the summer, the Center for Alaskan Coastal Studies contacted the MARINe program (Multi-Agency Rocky Intertidal Network) through the University of California, Santa Cruz to learn more about their sea star monitoring efforts. Working closely with them, we determined that the threat of sea star wasting syndrome could exist in Kachemak Bay and that it would be valuable to establish a set of permanent plots for monitoring, and did so in the summer of 2014. It has certainly felt like summer lately, but at the Wynn we are still seeing the products of spring emerge and grow. What products, you may ask? Babies! The baby moose are on the move, seen here at the Wynn in the past few days by some of our guests. Stretching their gangly legs, navigating over roots, they follow their mother through the forests and meadows free and easy. Only rarely do they truly need to test the developing muscles in those long legs. Two weeks ago, we had the privilege to witness two calves and their mother chased across our wildflower field by a black bear – quite the exhilarating moment, and a resolute reminder that survival in Alaska’s wilderness is no easy task for any animal. Another baby that’s out and about at the Wynn is the baby porcupine, also called the porcupette. Porcupines usually give birth to only one offspring per year, so seeing a dark-colored, short-quilled porcupette is a real honor. Earlier this week, one was spotted behind the Wynn cabin. Absorbed by the fresh fireweed it was munching, the seemingly soft ball of fast-hardening quills didn’t pay us much mind. When we got closer, however, it started to lumber off, doing its best to clear the way and part the tall grasses before it with endearing adolescent limbs. Mammals aren’t the only ones to bring new generations into the wooded world. On a tour last week, a Townsend’s Warbler fledgling, testing its wings, awkwardly flew right across the trail to land on a branch three feet away. As it looked at the world from this new point of view, twitching its fuzzy, chubby head back and forth, up and down, we watched in awe. One of the parents soon flew up to it with some grub and shoved the food down the thin tilted throat, as birds are so efficient at doing. Refueled, the youngster took off again to revel in the feeling of the wind beneath its wings. 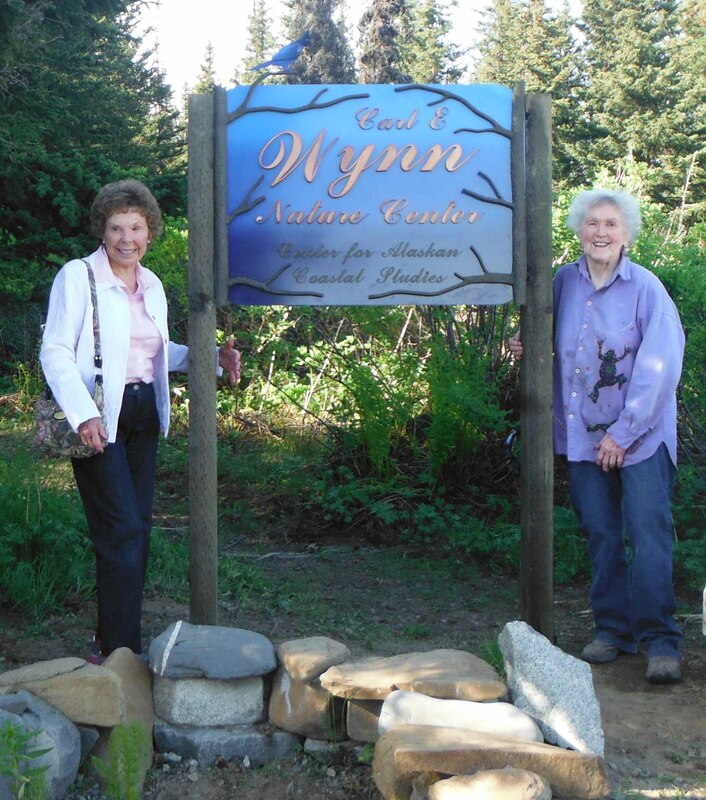 If you’re a lover of wildlife interactions, with creatures both big and small, the Wynn Nature Center is the place to visit. The forest is full of new life and quiet occurrences this summer. Come and see for yourself!